If you don’t like heavy or sticky cream texture, but looking for hydration for your combination skin, you will probably like this gel-cream. 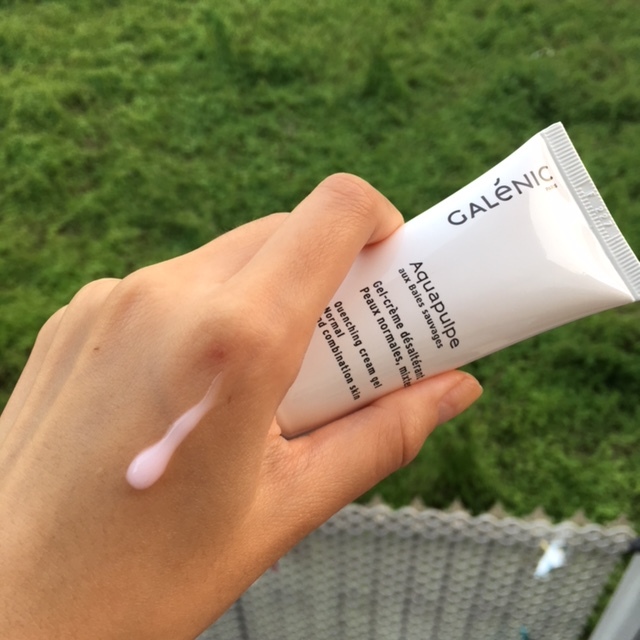 I was introduced to Galénic by a friend who works in the French pharmaceutical industry – Pierre Fabre. I am sure you have heard of Avène, René Furterer, and Galenic is also from the same company. 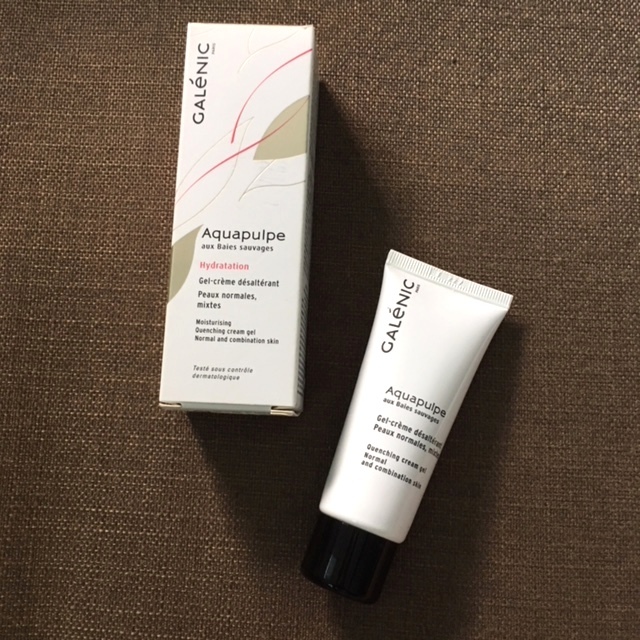 This Galénic Aquapulpe Quenching Gel-Cream is super hydrating gel cream with a patented wild berries complex to bring moisture to your skin. The product comes in a gel format and the texture is very lightweight. It is quick to absorb and it leaves your skin feeling plump and full of moisture right after! I like this gel cream because it is so easy to use and it can be layered on. I use it every morning! Sometimes I put it all over my face once, and then I go back to the places that I feel needs extra hydration and put another layer on. It works so well, and foundation works so much better on hydrated and plumped skin! Overall I just love this product and will definitely repurchase it after I finish this tube. It retails at about £13 for the 40ml tube. Knowing Galenic is not a popular brand in the UK / HK you girls please share with me if you have tried any other Galenic products! I would love to hear about them because I am so obsessed with this cream that I am expecting other products must be good too!